Article first published as Best New and Notable iPad Apps for January 2011 on Blogcritics. 2010 introduced the iPad into our lives, and early adopters were treated to a ton of great free and paid apps. Coming off the heels of my Top 10 lists of 2010, here is the beginning of a monthly feature designed to keep you up to date with all that is new and improved in the App Store. Today was the 17th annual mini-NICE (Northern Illinois Computer Educators) conference held at Stevenson High School. Always a great turnout and a bargain to boot ($5 registration), this year's conference marked my first foray into presenting and following the session, I attended three sessions as discussed below. Accompanying the presentation is a handout which can be accessed here. Exam Week Workshops (ETHS)Ideas for Second Semester Technology IntegrationLiveScribe SmartPens Pilot (ETHS)Best iPad AppsEdTech Conferencesand more! Subscribe to all Chanatown Teacher Posts on RSS or via Email here. 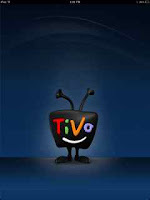 Article first published as iPad App Review: TiVo Premiere Companion App Fully Explored on Blogcritics. Last month, I finally bit the bullet and upgraded my TiVo Series 2 DVR to the newest and greatest TiVo Premiere. Despite some mixed reviews including one by the famed Walter Mossberg, I went ahead with the purchase. I was tired of not being able to record in HD, and I was also able to get rid of my cable converter box from RCN using the TiVo and CableCard combo instead. I have to admit that a big selling point was the pending release of the TiVo for iPad app, something that the company has been touting on their website since early November. Well, the day has finally arrived as the app officially hit the App Store earlier this week. More thoughts, screenshots and a hands-on look after the jump. How Can Reading SuperFreakonomics Save Education? Today's Question: What happens when I mix these two things together? Which would grab you and more importantly, which would grab most students, thus enticing them to become engaged and motivated for class that day? I suspect the latter, and it dawned on me even more after reading SuperFreakonomics just how effective essential questions can be. In an attempt to compete against (or hopefully compete with) prestigious contests such as the Intel Science Talent Search or Siemens Science and Technology Competition, Google's stepped into the arena with the Google Global Science Fair. Open to all students from around the world ages 13-18 and working individually or in groups of two or three, the contest represents a nice opportunity for students to get involved and excited about science, technology, and of course, some valuable experience using Google products. I like that the process seems a bit more open to all students (not just the already scientifically inclined) and less intimidating than the aforementioned contests. Check out the promo video below, and sign up here to register. Lo and behold, just as I was about to make some edits on an existing Prezi for an upcoming presentation, I find an announcement for a free Prezi app on the iPad along with a "win a free iPad" contest on their website. If there was a web 2.0 tool that was just destined to become an iPad app, I would say Prezi is it. With its zooming presentation format and the drag, zoom, and slide interface, the multi-touch capabilities of the iPad seem to lend themselves perfectly to a well designed application. Let's see what the Prezi folks have created, shall we? 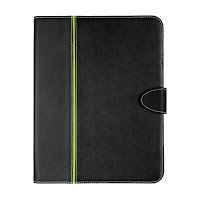 Article first published as NavJack iPad Cases Review: Corium and Executive Planner on Blogcritics. In 2010, we saw the iPad kick start the tablet market by defining the device's form, function and interface. As a result, sales of the "magical" device skyrocketed and created a ton of opportunities for developers (free and paid applications) as well as distributors of peripherals and cases. As I wrote earlier last year, a gadget case can serve the purpose of aiding the form as well as the function of its insides, and today, we look at two options that seem to do both for the iPad. As mentioned in my first post about LiveBinders, I am working with our Literacy Coordinator on an ePortfolio solution for our Humanities classes. As we finalized our setup this past week, I was pleased to discover that LiveBinders recently introduced their collaboration feature. A quick look at this new and exciting feature after the jump. Paid Xtranormal vs. Free Animoto - Which Business Model will Win? In education, the word "free" is music to a teacher's ears. The same applies for this Technology Integration Specialist, and one who was bummed to discover that Xtranormal is now operating on a paid premium business model. As another option for an Asian Studies project, a teacher offered Animoto and this service remains free to educators and students. Which tool will benefit more from the Xtranormal shift to paid only?